Drones seem like the next big thing and the phenomenon is really taking off. BMW is in all the latest trends and when it comes to drones, it seems like the German brand can’t get enough. Not long ago the BMW Welt Museum hosted a Drone Racing League event and back in 2017 the Bavarians joined forces with Studio Drift to create the ‘Franchise Freedom’ installation, shown in Miami Beach for the first time, at Art Basel. Those who didn’t get the chance to see it on this side of the Atlantic Ocean will get another chance, this time on the other side of the pond, as the Brits put it. 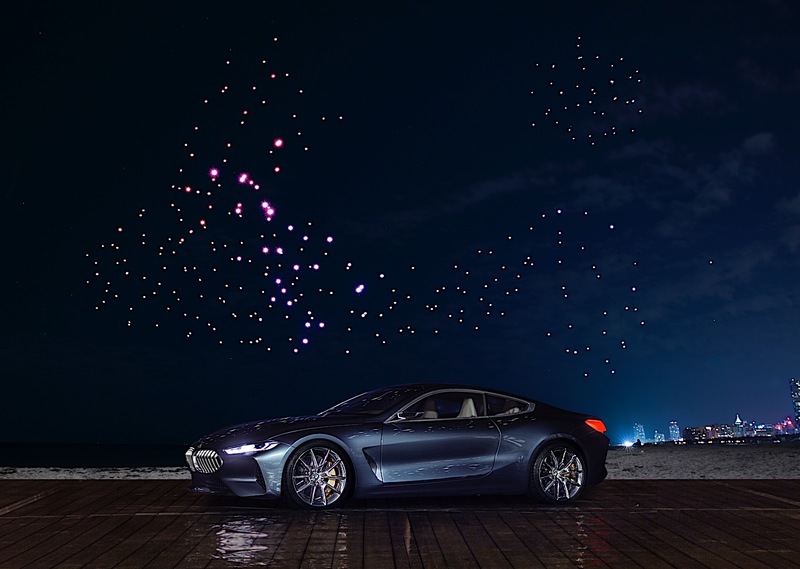 BMW and Studio Drift announced that the moving art installation powered by lit up drones will make an appearance in Amsterdam for three days after sunset, on the river IJ. The first presentation will take place on August 10 and will be followed by similar showings on August 11 and 12. Illuminating the river IJ in Amsterdam, the performative art work is part of the retrospective “Studio Drift: CODED NATURE”, on display at the Stedelijk Museum Amsterdam until August 26, 2018 and it is made up of 300 luminous Intel Shooting Star drones in bird swarming formation, creating what is called a flying sculpture by its creators. 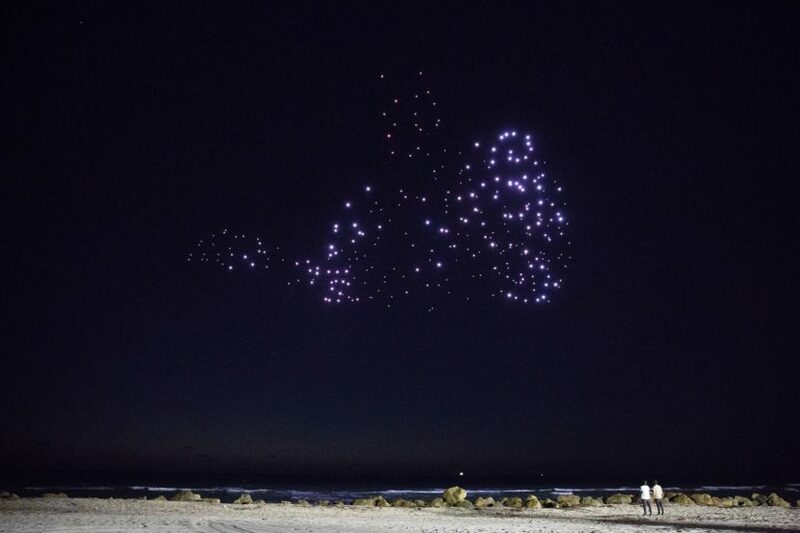 It is the first time that such a large number of drones has been allowed to fly for an art display in the region. For ten years Lonneke Gordijn and Ralph Nauta from Studio Drift have been studying the flight patterns of starlings moving in a swarm. Fascinated by the movements whereby freedom and at the same time limitations of the individual birds within the swarm alternate, the artists developed an algorithm that can make autonomous choices. In this way they could eventually imitate these movements by translating them into software that was specially developed and embedded in the luminous drones. The City of Amsterdam in collaboration with BMW, Intel, RAI, Rabobank, NDSM, and Studio Drift will offer the public the unique opportunity to view this autonomous performative artwork for three nights, after 9:30 PM until August 12.